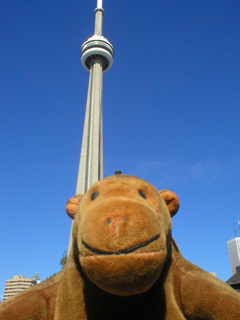 "We could go up that tower, you know"
On his way to the CN Tower, Mr Monkey scampered past the Skydome. Its sliding roof had been slid open, because someone was going to play a baseball game. 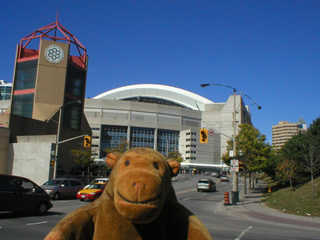 You can read all about the "world's greatest entertainment centre" at the Skydome website.